It&apos;s a new year. It&apos;s the time to break out the planners and make resolutions to do better, to be better. Better parents, better friends, better to ourselves and better to our spouse. w important it is to have a heathly and happy marriage as a good foundation for your family. While we love being parents, we love being husband and wife too and we know we need to take some time back for ourselves. 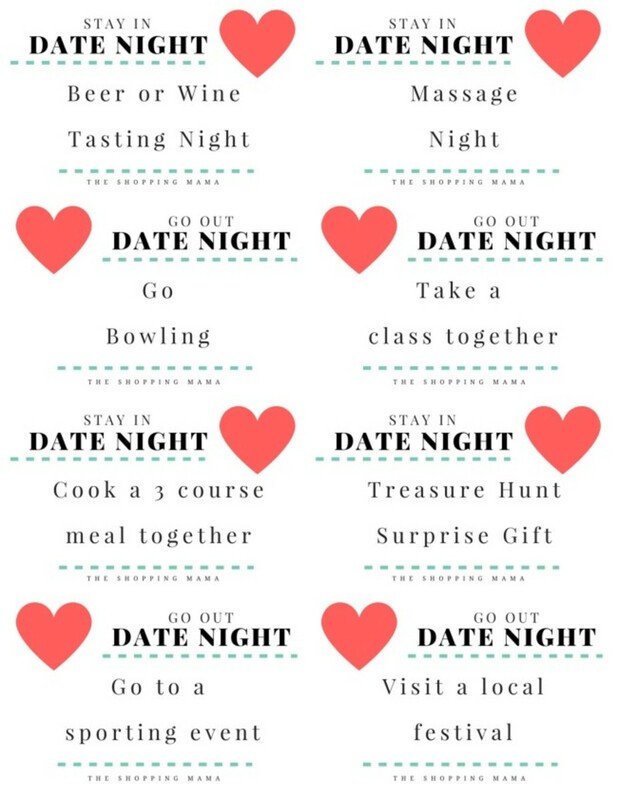 With that in mind, I created 12 months of date night ideas, 2 for each month. 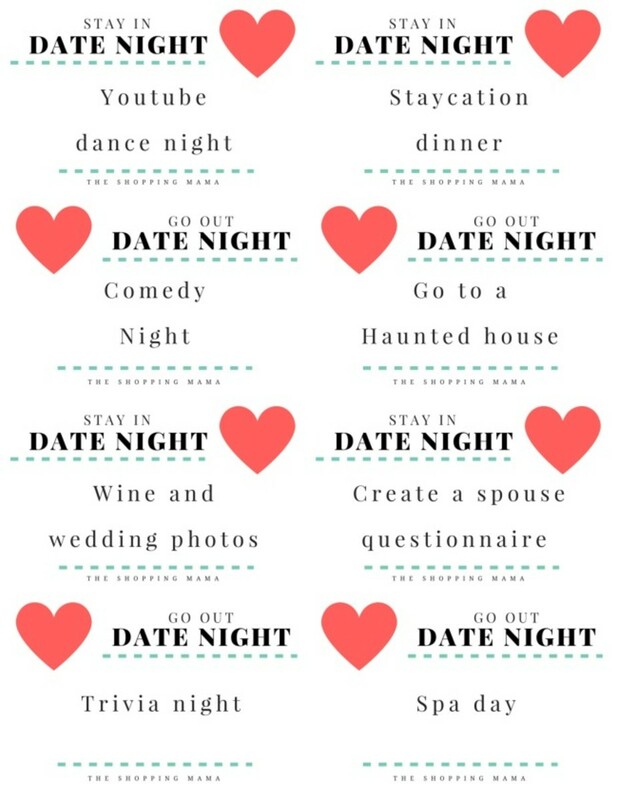 Each month has a "go out "date idea and a "stay in" date idea.Do them all, or maybe just do a few from each category. 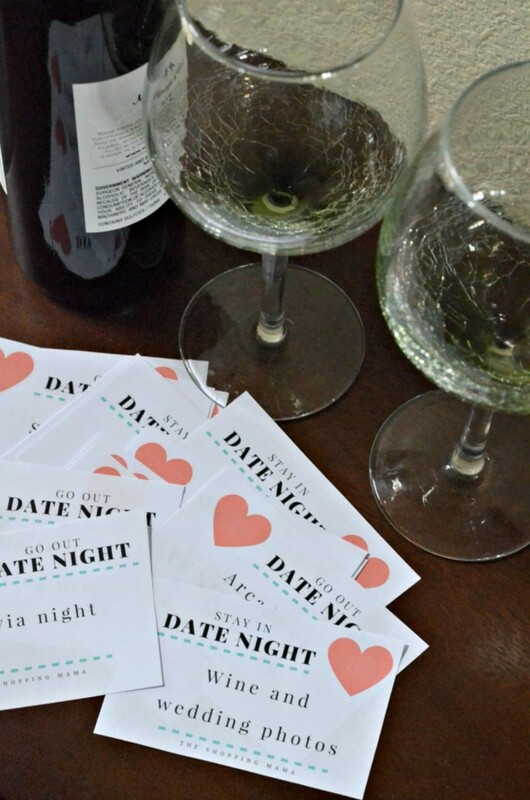 We hope these can be a jumping off point for having more great date nights in 2016! While these aren&apos;t numbered or have the dates on them here is how we would space these dates out over the next 12 months. Stay in - Beer or wine tasting.Grab a few different bottles and set up a little wine/beer tasting station after the kids are in bed. You can make it a blind taste test, try to guess the wine notes, or just enjoy tasting and talking together. Go out - Go Bowling. The weather might be cold and dreary but you can still get active at the bowling alley and bring your competitive game! Stay in - Massage night. Light the candles, put on some soft music and get the massage oil ready. Trade off giving each other massages to relieve some tension. 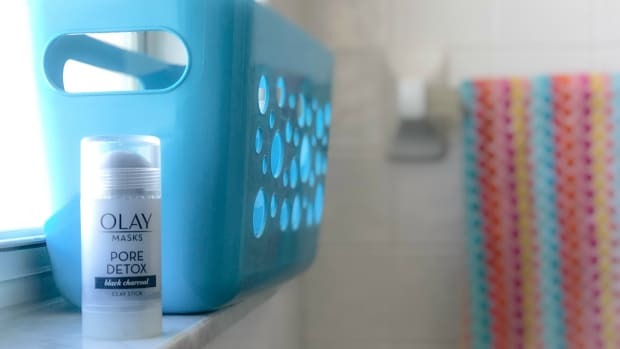 You can even make your own DIY massage oil. Go out - Take a class. A cooking class, dancing class, pottery class, anything you want. Research what is available in your area and go to it together and make some memories. Stay in - Cook a 3 course meal. Get together and plan a menu you both with love. Make time to create something yummy together. Go out - Attend a sporting event. Hockey, baseball, rodeo, whatever it is get some tickets and go. Stay in - Surprise gift/treasure hunt. Buy each other a surprise gift. It doesn&apos;t have to be much, it can be a new book they want or a fun snack you think they might like. 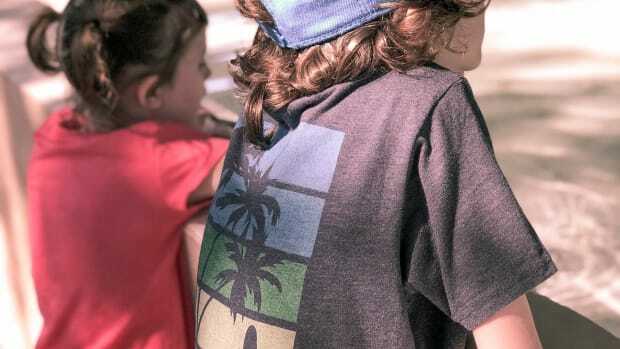 Plan a little treasure hunt around your house with clues. Go out - Local festival.Spring is full of local festivals. 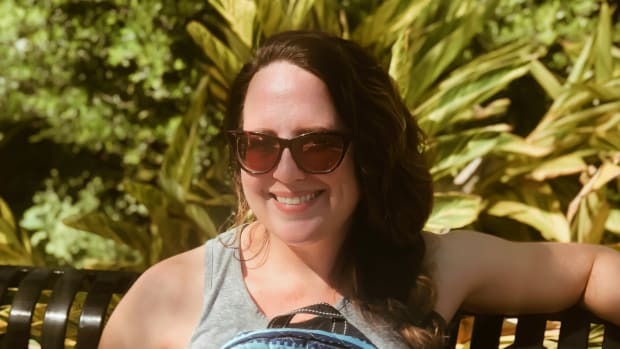 In April alone in Tucson I found a folk festival, film festival, sun festival, Santa Cruz nature and heritage festival, Tombstone rose festival, and the southeast Arizona wine growers festival. Sounds like a good time to me! Stay in - Homemade sundae night. Get all the toppings to make a giant sundae to share over your favorite Netflix show! Go out - Watch the sunset. Drive somewhere and watch the sunset, enough said. Stay in - Play a game. Dust off those classics - scrabble, mousetrap, twister, clue. Don&apos;t have a game? You can even play hangman. Go in - Plan a picnic in the park. Pack some sandwiches or light snacks and a big blanket and go to a local park for a midday date. Stay in - Homemade pizza, fancy popcorn.Make your favorite pizza at home and concoct some fancy popcorn to go with it. Go out - Arcade or theme park. 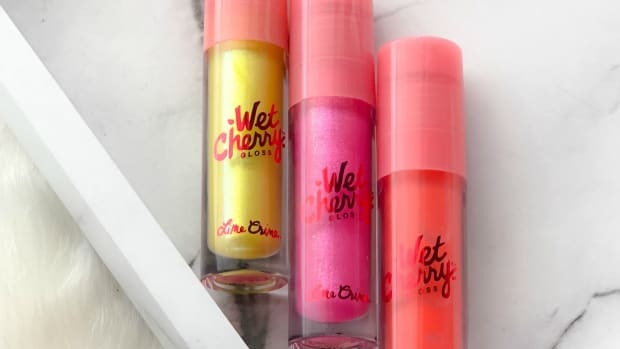 Depending on the weather and what you are in the mood for. Get playful at the arcade or race around in go carts in a theme park. Bring out the kid in each other again! Stay in - Constellation night. On a clear night go out and stargaze together. See if you can point out constellations. Take it up a notch by creating a star themed menu . It doesn&apos;t have to be fancy, think star crunch for dessert. Go out - Bike ride or hike. Get some fresh air and exercise together. Stay in - Youtube dance night.Salsa lessons anyone? Go out - Comedy night. Find a local comedy bar and get a good belly laugh together. Stay in - Staycation date night. 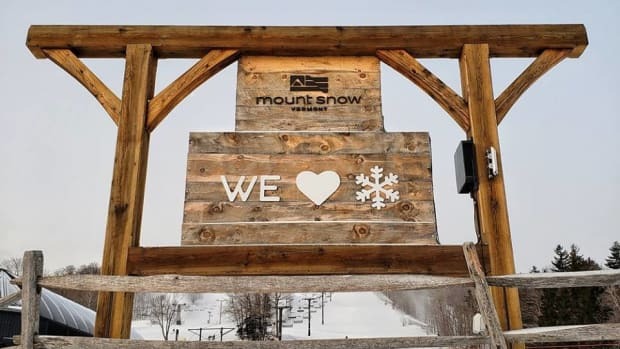 Plan a menu around a fun destination. Try to find decor to decorate with and put on local music to set the scene. Go out - Haunted House. It&apos;s Halloween. The kids are probably too young for the haunted house but you aren&apos;t! Get close and get your heart racing. Stay in - Wine and wedding photos. It&apos;s probably been a long time since you looked through your wedding book. Pour some of your favorite wine and reminisce through your wedding album. Go in - Trivia night. A lot of local restaurants have a trivia night. Grab some drinks and appetizers and see how you do. Stay in - Spouse questionnaire. Create a questionairre for each other. Don&apos;t have time to create questions. 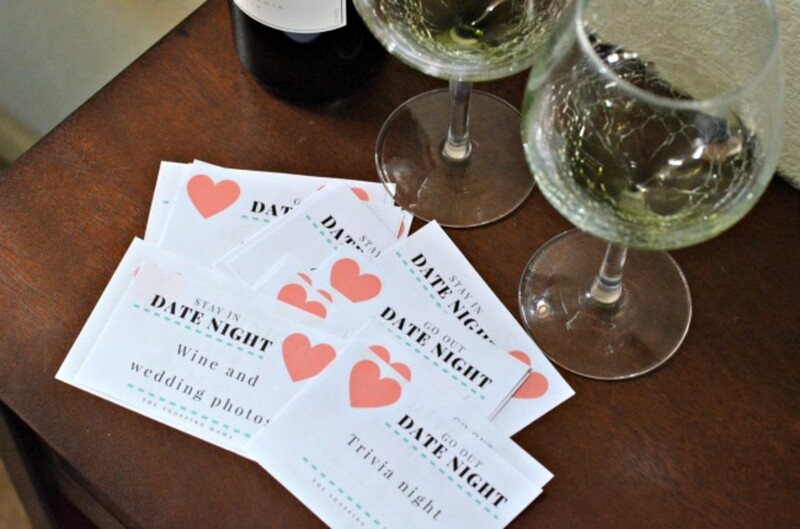 This is a cute Married-Wed game printable. Go out - Spa day. It&apos;s the holiday season, get away and unwind together with a facial, couples massage or mud bath in a spa together. 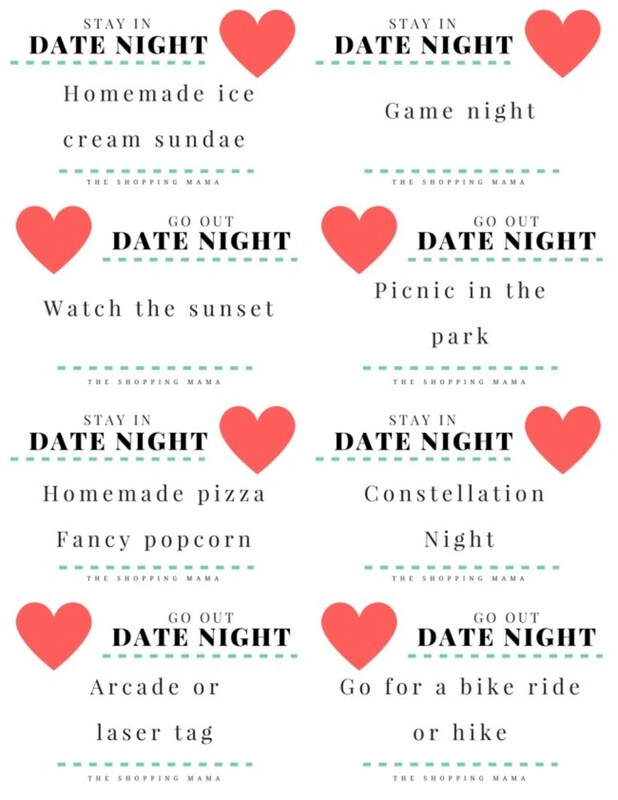 Get the full 3 pages of date night printables here and plan your next date nights!